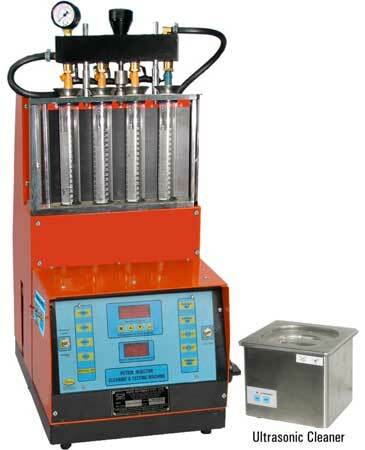 Our Machines are suitable for All the petrol driven cars and there is no need to change any â��Wiringâ�� and â��O-Ringâ�� to Clean & Test the different type of injectors whether from Maruti, Hyundai, Fiat, General Motors, Hindustan Motors, Matiz, Skoda, Honda, BMW, Mercedes, Volkswagen or any other make. Our machines are fully equipped to fulfill your requirement and you will be delighted, by seeing the quality, features, performance, flexibility & ease of operation of our machines. Our machines are fully automatic and microcontroller based (Computerized). 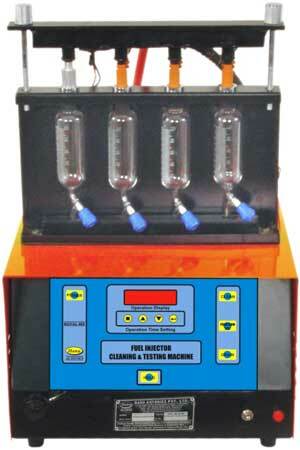 MachineMachine can clean & test up to 4 Injectors simultaneously for all type of MPFI vehicles. Tank capacity is 10 Ltrs. and weight of the machine is 40 kgs. Approx. with empty tank. 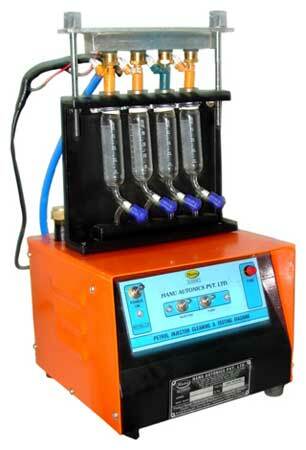 Machine can clean & test up to 4 Injectors simultaneously for all type of MPFI vehicles. Computerized time setting for cleaning & testing. Tank capacity is 5 Ltrs. and weight of the machine is 25 kgs. Approx. with empty tank. 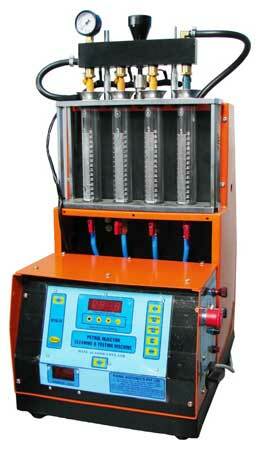 Machine can CLEAN up to 4 Injectors simultaneously for all type of MPFI vehicles. Tank capacity is 2.5 Ltrs. and weight of the machine is 15 kgs. Approx. with empty tank. Machine will operate only on 12 V DC@ 15 Amp. Battery supply. An attendant has to be present on the machine at the time of cleaning.